If any of these animals accidentally cross your path, powerful omens are presented to you according to ancient cultures and their Old Ways. During the Old Times, animals and plants were all associated with Gods and Goddess. Athena had Owl as her sacred animal while Poseidon protected Horses and Artemis (Diana) Deers. Everyone had a soft spot for animals, therefore close encounters with animals were supposed to be divine interventions at some point. We have selected the ones who are considered to be the most powerful omens of all. An important notice before analysing the omens. Sometimes, the “accidental” appearances of Animals can be the encounters of our Totem Animals, trying to catch our attention. 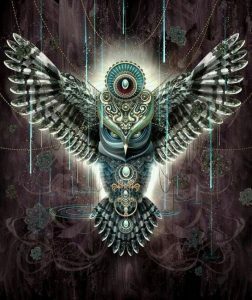 Maybe owls know things and they appear to warn us about what is coming – usually something huge – either this is for good or ill. Owls have been associated with many gods and goddess but one of the most powerful association is with Athena (Minerva) the Goddess of Wisdom in Ancient Greece. When an Owl appears one has to be extra careful about his/her next steps as the Owl tries to make us ready for what’s coming (it doesn’t have to be bad but it’s certainly very important or even life-changing). If you are a Witch, the appearance of an Owl probably means that our magic is strong and we should be very careful with the energies we summon. We should choose wisely! Owls are not omens of Bad Luck or Harbingers of Doom (they can be if we see two owls fighting and shouting over a house). They are messengers of Great News. Owls are considered Royal Birds, therefore seeing them can be considered as omens of success. Spiders are also associated with the Goddess Athena, the Goddess of Wisdom. Spiders are also considered sacred animals as their web symbolises that we are all connected with each other and all nature. However, the appearance of a Spider does not have the same meaning as Owls. Spiders are trying to “ward” or remind us of a friend. In ancient time Spiders were omens for a friend (either from the past or a close friend). We will probably soon meet this friend who is going to give us brand new information. In general, Spiders are good omens, bearers of Good Luck. You walk by the street thinking of your daily routine when for some reason a cat caught your attention. You refuse to believe that this is important but the cat for some reason follows you and tries even harder to make you turn around. The cat is the personification of intuition. When a Cat appears out of nowhere and for some reason and you can’t help but notice their weird and cute moves, it’s an omen (or omens) that you have to listen to your heart. 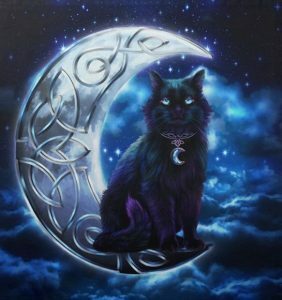 Cats are associated with powerful and Wise Goddesses like Bast, Freya and Brigid. The weird cat symbolises your hidden magical and spiritual powers which now you have to listen. These creatures have the bad reputation of being harbingers of death and dark magic. However, although they sometimes can bring bad news, they are the personification of truth. Crow / Raves in the Sacred bird of Truth, Great Egyptian God of Wisdom and Magic. 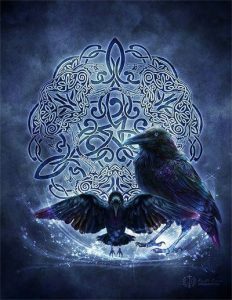 Moreover, Crow/Raven is sacred to Apollo (the God of Sun), Hera (Queen of the Gods) and Asclepius (God of Medicine). Seeing a Crow means that truth is going to be exposed to you soon. Ancients believe that wisdom cannot be achieved if you are not ready to receive this information. The sight of a Crow is the divine confirmation that you are now ready! Soon you will learn something really important. 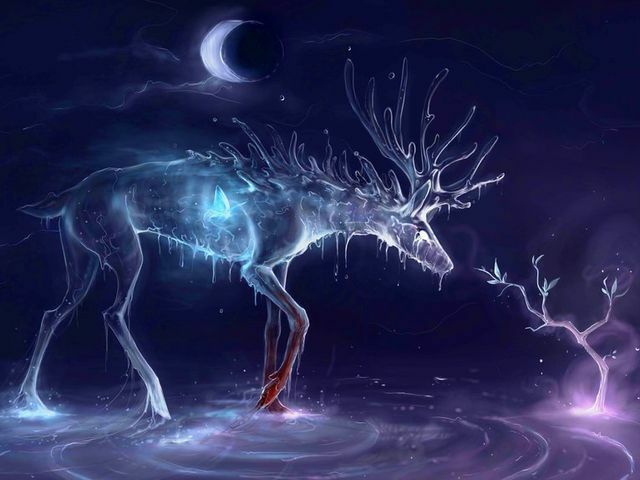 These wonderfully enchanting horned creatures are sacred to the Goddess of the Moon, Artemis . Artemis was believed to love them so much that she kept having one as her close companion. Artemis is a solitary Goddess who loved being alone in the Woods with her beloved animals and trees. Seeing a deer is a symbol that Heavens know what you’re going through and that you should continue facing these problems with Grace, Purity and Dignity. Deers keep their heads up even when hunted. Be like the Deers. Stand up and face the problems without losing your inner beauty. Become a beautiful Warrior of Life. I have 5 cats, we have from time to time, a damn nuisance spirit albeit small and to some extent negative, It`s not at all dissuaded by my cats. The only key to cause it to check is the Reiki symbol to the Universe.